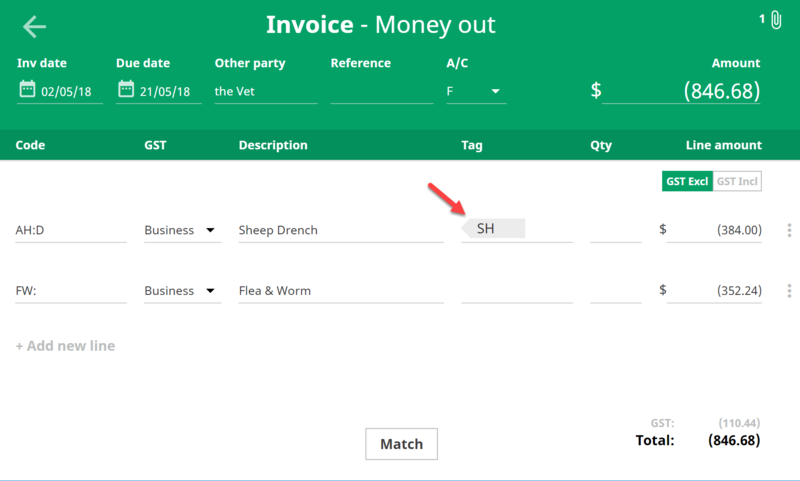 Once you have created a tag, you'll be able to allocate it to any coded lines in invoices and bank transactions, using the Tag column. NOTE: you can allocate a maximum of one tag to each coded line. Go to the Completed tab. Change the view to Coded lines. Sort the view by either Code order, if you know what code you used, or by Tag order, if you know the tag you want to edit. 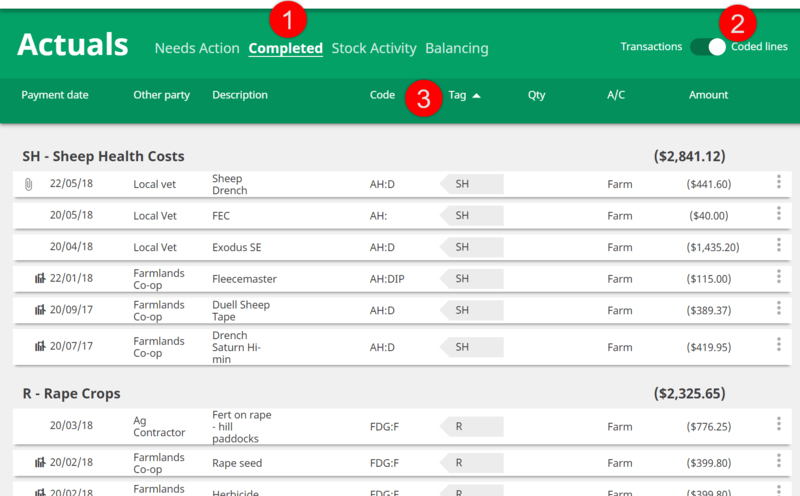 You can then edit the transaction or matched invoice to add or change the tag allocation.